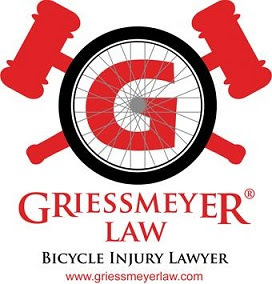 The former (he resigned from the police department) NY Cop who was caught on video shoving a critical mass bicyclist to the ground was found guilty of filing a criminal complaint that contained false statements concerning the cyclist. The ex-officer said that the biker intentionally knocked him down by swerving his bike into the officer. Although the ex-officer was also charged by the prosecution with reckless assault, the jury acquitted him of this charge. He faces up to four years in prison for lying and saying he was knocked down by the bicyclist who he took out. The ex-officer had only been an officer for 11 days at the time of the incident.